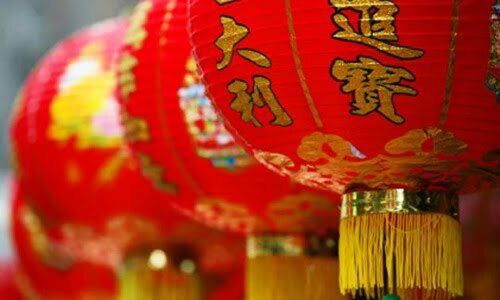 In a popular Chinese belief, the colour red symbolizes happiness, wealth and longevity – especially during Chinese New Year. Or does red means “RAWR!”, just like the dragon above? I think it’s more like “HUAT!”. Anyway, during the Chinese New year, it’s more or less about being red. Wherever you go, you see red, red and more red. 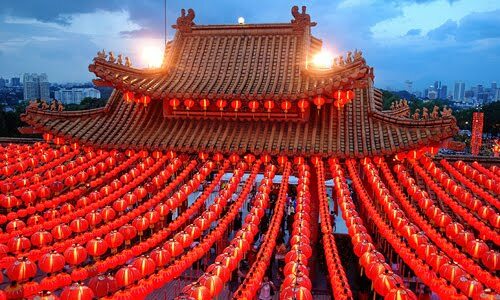 Most Chinese houses are decorated with simple red lanterns, especially around the home compound. But for the Chinese temples, they are THE lantern fanatics! Wah, lines and lines of lanterns. I must admit, it’s definitely a great effort + amazing scene. Back at my home in Ipoh, red is noticeable everywhere. 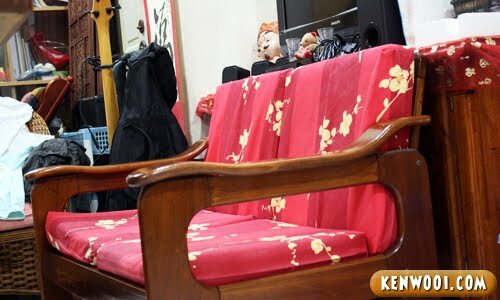 The sofa cover has changed to red. 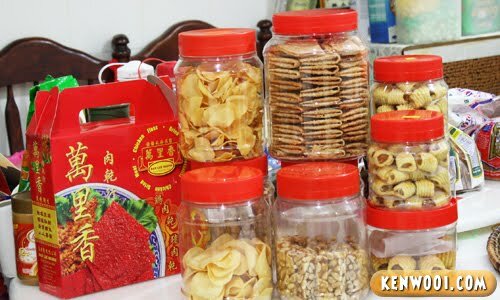 Even Chinese New Year biscuits and tidbits are in typical containers with red covers. 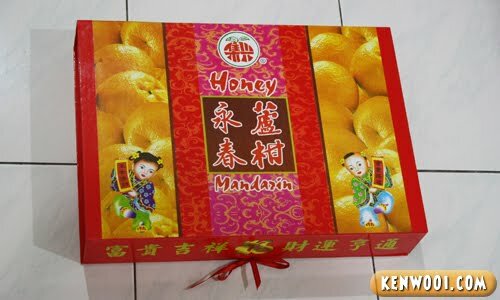 Can’t stop eating them, especially the pineapple tarts! More and more juicy Mandarin Oranges to be eaten. They come in red-coloured boxes too! 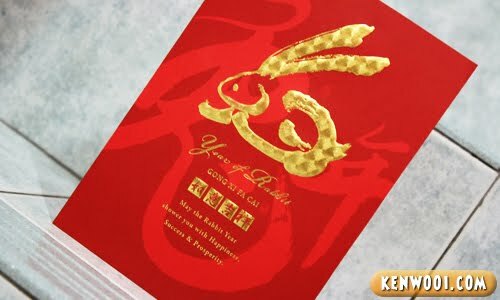 Chinese New Year greeting cards are also commonly red. In case you’re not aware, it’s the year of the bunnies! 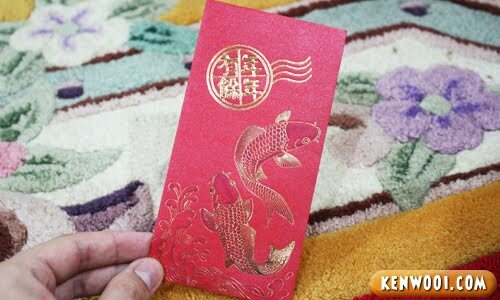 Red envelopes, also known as ang pao, are usually given out at social and family gatherings. Can’t wait to get my hands on more of these. Firecrackers are red in colour as well. Boom boom pow! And on the personal appearance, some would decide to dye their hair red. 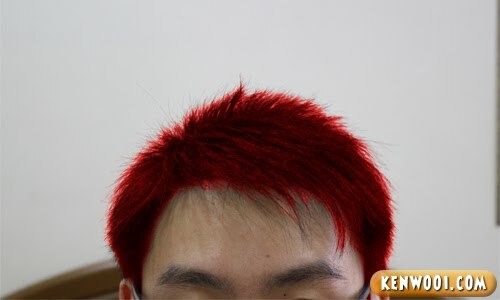 This is how my hair would look like if I dye it red. Cool or not? 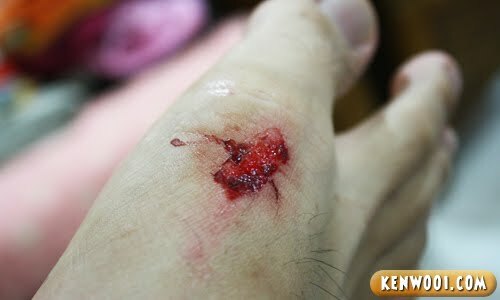 Blood also red ah! Huat! Everyone starts wearing red. 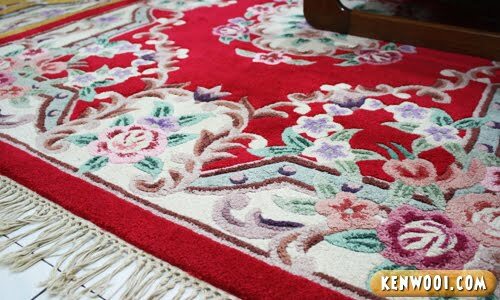 So I prepare my red-coloured cloths as well. Doesn’t look matching, but still it’s red – so can lah. Red socks. This makes me think of Christmas though. 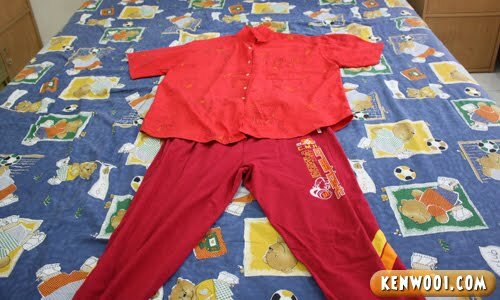 Anyway, some people believe that wearing red undergarments at the stroke of midnight of Chinese New Year, coupled with red pajamas, will bring them good luck and prosperity. Even the men are getting red underwear. Gonna keep it for the the midnight of Chinese New Year. I’m gonna be so lucky and prosperous this year. 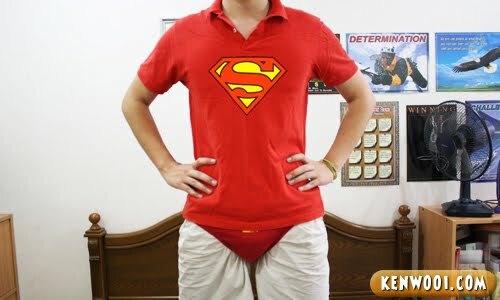 Eh, looks like I’ll be Superman during Chinese New Year! Hey. Your blog should be in RED too! LOL! Another hilarious post from u but pls don’t u ever ever wear ur underwear like that Ken. I’m begging. hehe. EVERYTHING RELATED TO RED!!!! lol!!! hahaha…last pic so funny maaa…. anyway, happy Chinese New Year Ken…. LOL..everything change to red colour..
superman. You need to get a red leggings and cape to complete the outfit! that would be awesome! 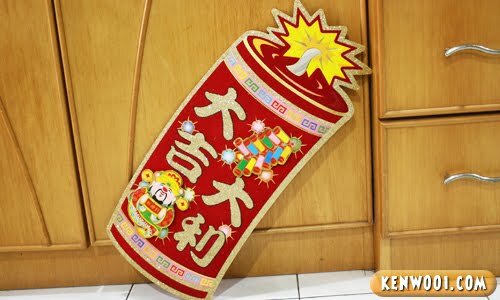 Happy CNY to you Ken! The feeling is great this festive season hor? Wishing u all the happiness in da world sifu! Happy CNY and Gong Xi Fa Cai ya!!! 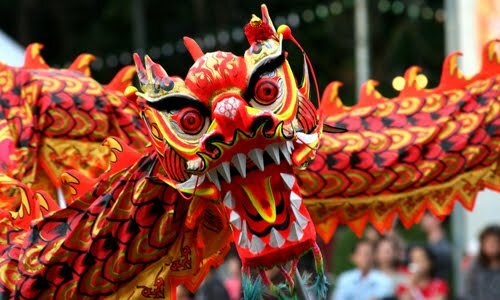 Happy Chinese New Year My Friend ! GONG XI FA CAIII!!!! so i see you’ve got ur red wardrobe sorted out for the new year! when i read that you’re going to show your red undies, i thought, it couldn’t be real. i love the tanglong and roof de photo. nice! BTW about my blogpost the TAC are valid for a certain time, so it’s sufficient for them to withdraw all the money. wah lau eh… ur house got so much of ong. have u bought empat ekor? Happy Chinese New Year to you, Kenwooi. HEPI Chinese new year Ken! hehe. maybe the tiramisu can be a gift for ur CNY! Hv a great rabbit year!